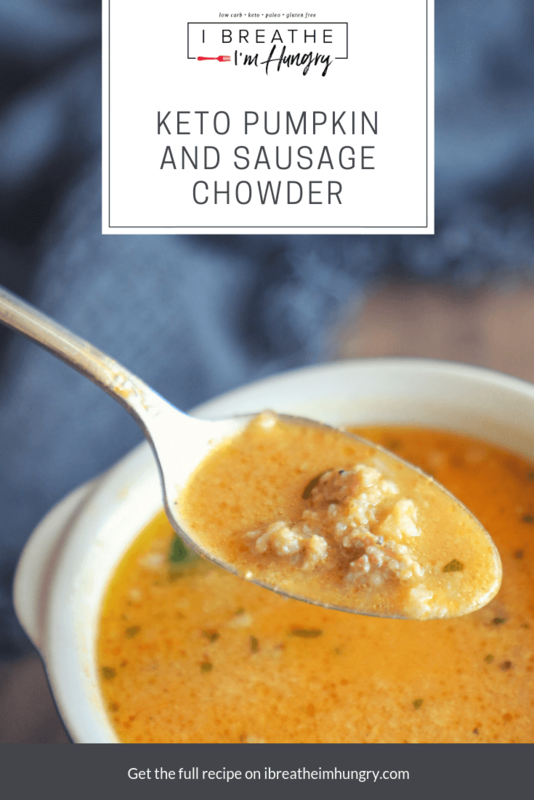 If easy and comforting keto soup recipes are your everything right now, then you are going to love this creamy keto pumpkin and sausage chowder! It comes together in just minutes and reheats beautifully all week long! 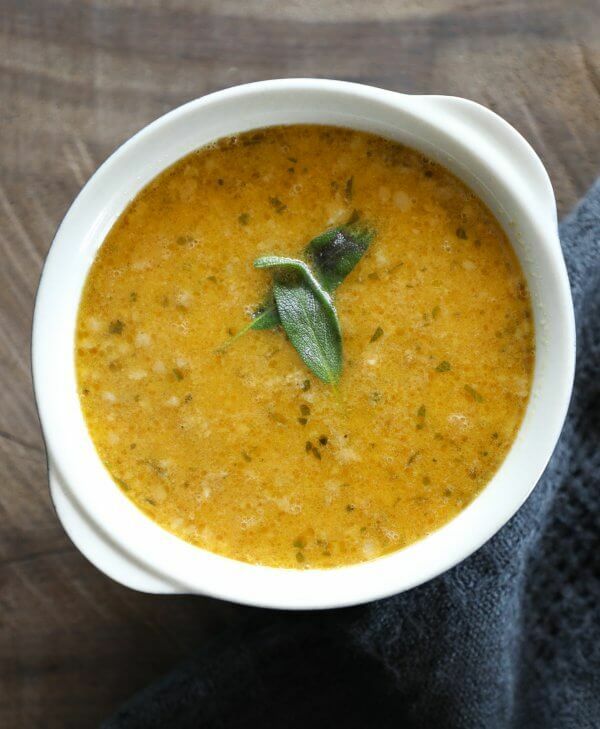 Pumpkin isn’t just for desserts guys, it’s also amazing in savory recipes, especially fall soups! This creamy keto pumpkin & sausage chowder is flavored with sage and a hint of nutmeg, which perfectly complement the pumpkin and sausage flavors and will make your entire house smell UH-MAZING. The mascarpone cheese, which I basically think of as solid heavy cream adds creaminess without messing up the subtle flavors in the soup. I always get asked if it’s ok to use cream cheese where mascarpone is called for, and while you definitely can, it will change the flavor of this creamy keto pumpkin and sausage chowder and add a slight tang to it. Not necessarily bad, just not as intended. Cream cheese will also add carbs, so be aware of that too. 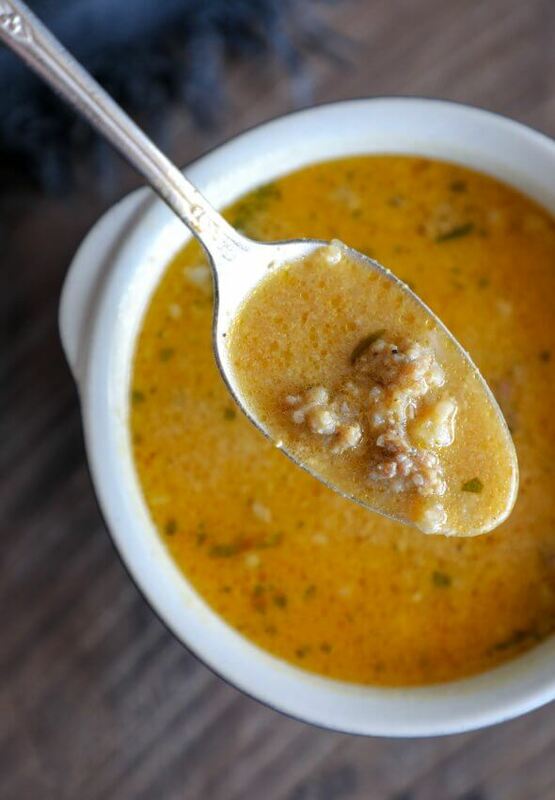 Because chowder typically contains potatoes, which are too carb heavy to work in a keto soup, I subbed in riced cauliflower to add texture and heartiness to this creamy keto pumpkin & sausage chowder. 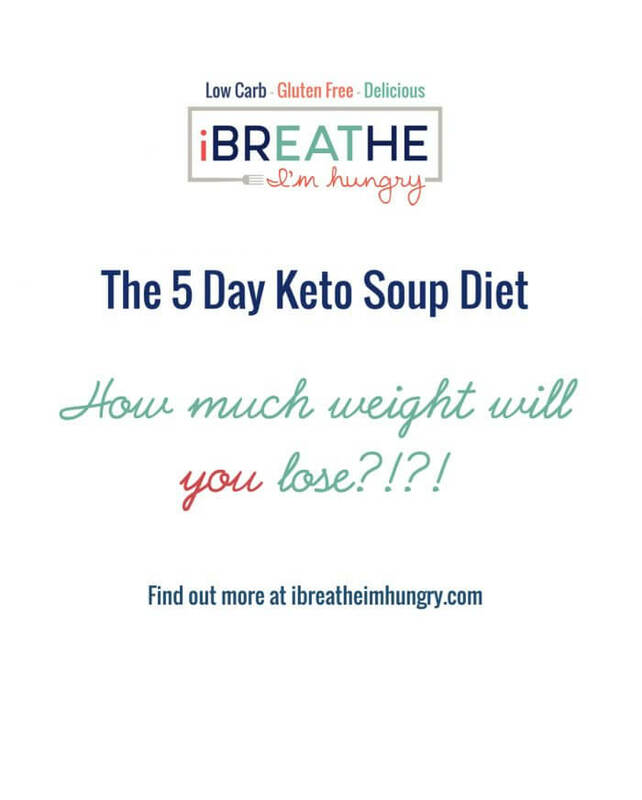 If you like your keto chowder even heartier, you can leave the cauliflower in larger pieces, or use chopped radishes or even turnips for around the same amount of carbs. I used a pork breakfast sausage for this creamy keto pumpkin & sausage chowder because it works so well with the sage flavors, though you could sub in Italian hot or sweet sausage to change it up a bit. And if you like it spicy, you could also throw some red pepper flakes in there. 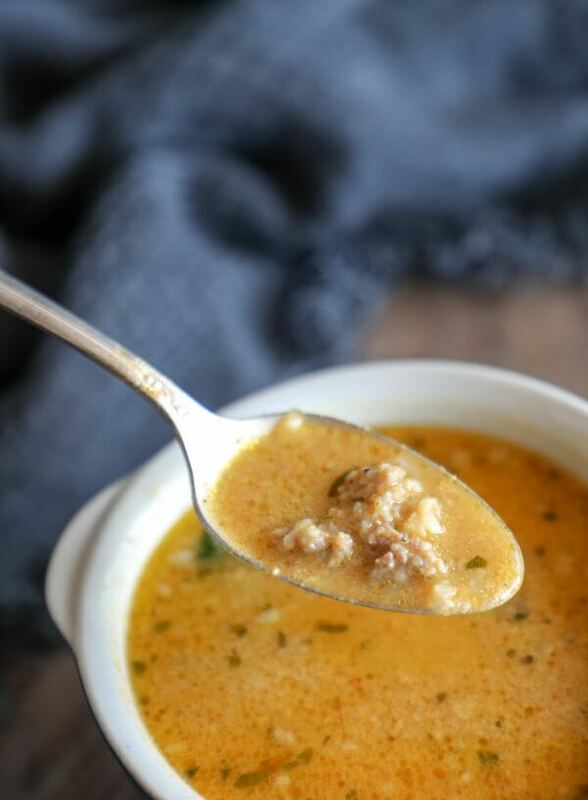 Creamy Keto Pumpkin & Sausage Chowder – an easy and comforting low carb soup that reheats perfectly all week long! Brown the sausage in a large saucepan, stirring to break it up into small pieces. Add the chicken broth, pumpkin puree, water, sherry, salt, nutmeg, pepper, garlic, onion, and cauliflower. Simmer 20 minutes. Add the mascarpone cheese and sage. Cook over medium low heat, stirring occasionally, for five minutes or until the cheese has melted into the broth and is creamy and smooth. Do not boil. 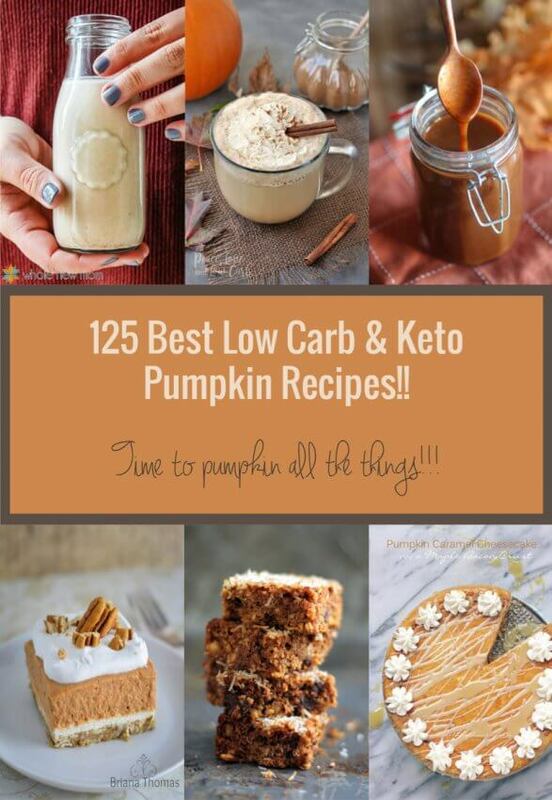 If pumpkin flavored ERRY THANG is your current situation, here is an epic collection of 125 sweet and savory keto pumpkin recipes to fuel your pumpkin habit! Omitted one cup of water as others recommended and loved this soup, as did my husband and son. Didn’t tell them it had pumpkin until after they ate it and said they loved it. Both were surprised since they don’t like pumpkin. 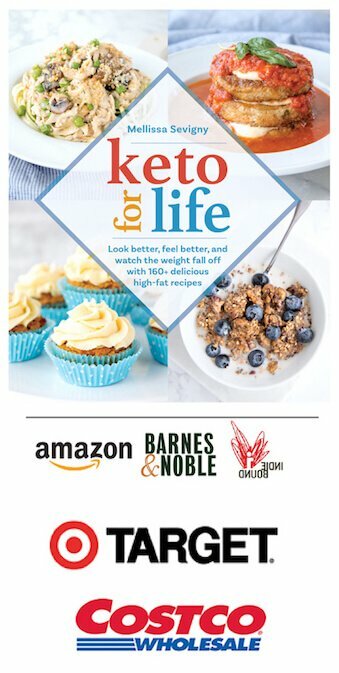 Between your site and your cookbook I am now down 45 pounds and have been loving everything I eat. Thanks for all the time you spend to do this, it’s made a true difference in my life! Giving this a 5 because I subbed a few things. I didn’t have dry sherry so I used ACV instead. It wasn’t a bad substitution but I probably should have used less. I think the mascarpone is too sweet so I think I’ll use cream cheese next time. This soup was delightful! Thank you for another wonderful recipe. Didn’t have any sage, dried or fresh. Managed with just a bit of thyme and this was amazing! Love it! 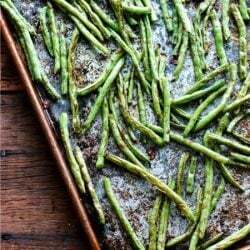 So easy and I will make again with fresh sage! this soup is so delicious! I made it with fresh pumpkin instead and love the flavors! thank you so much! Not a cauliflower fan. 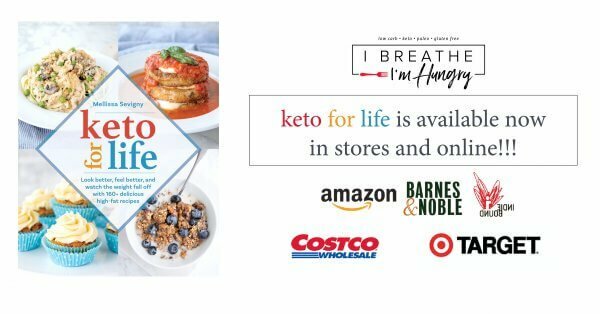 How much will the per serving carb count decline if I omit it? Thank you! Just made this. I really questioned putting the water in. 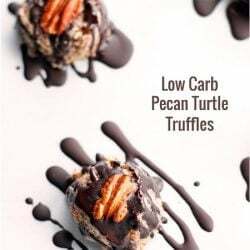 I wish, wish, I would not have (and would have read the comments before making the recipe). I ended up adding another can of pumpkin in hopes of rescuing the meal. There is very little pumpkin flavor! I am so bummed with how this turned out. I will eat it because I won’t waste food. I will add red pepper flakes to give it some flavor. 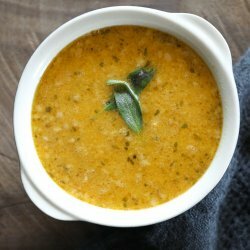 I’d never tried a pumpkin or squash soup but the recipes sucked me in. I like a thicker soup, so I took another reviewer’s advice and reduced the amount of water by one cup. The smells is heavenly and it tastes incredible! You mentioned how long this can be stored in the fridge but do you think it would keep well in the freezer? Yes this should freeze just fine Candace! This is absolutely delicious! 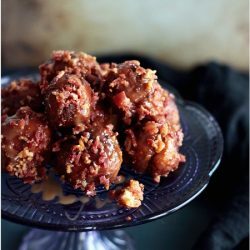 I never have dry sherry for cooking, so I didn’t add it… But I can’t imagine it tasting better! We love sausage in soups so this recipe is a treat for my family. We use Jimmy Dean. Yum Yum !! Im not a fan of pumkin as a vegetable so I replaced it with sweet potato and followed rest of the recipe and I ha e to say it turned out a keeper! Thank-you for shading! Sounds yummy! What can I sub dry sherry with if I don’t have any? Gina, I used white wine, and it was delicious. 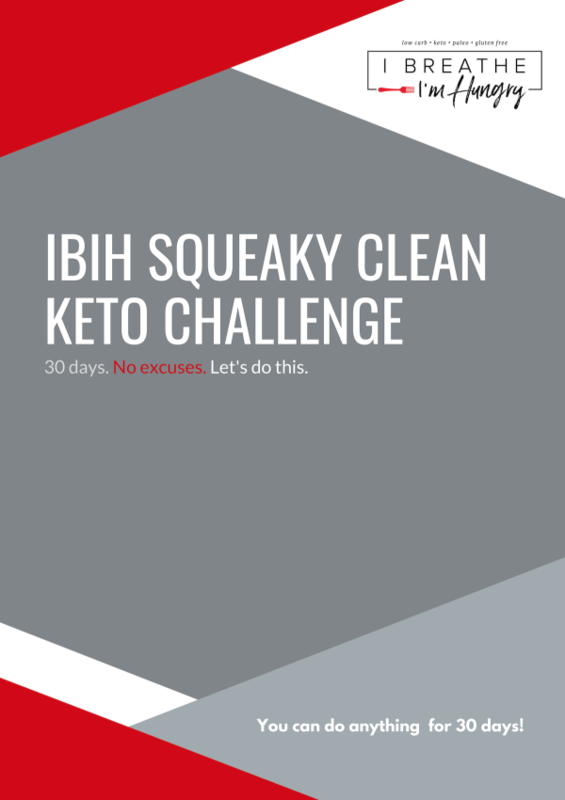 This is the first keto recipe I’ve tried and I love it! 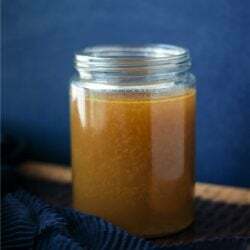 I used one teaspoon dried sage instead of the tablespoon fresh sage that the recipe called for. It’s still excellent, bit I think I’ll use the fresh sage next time. Delicious! This is a perfect fall soup! 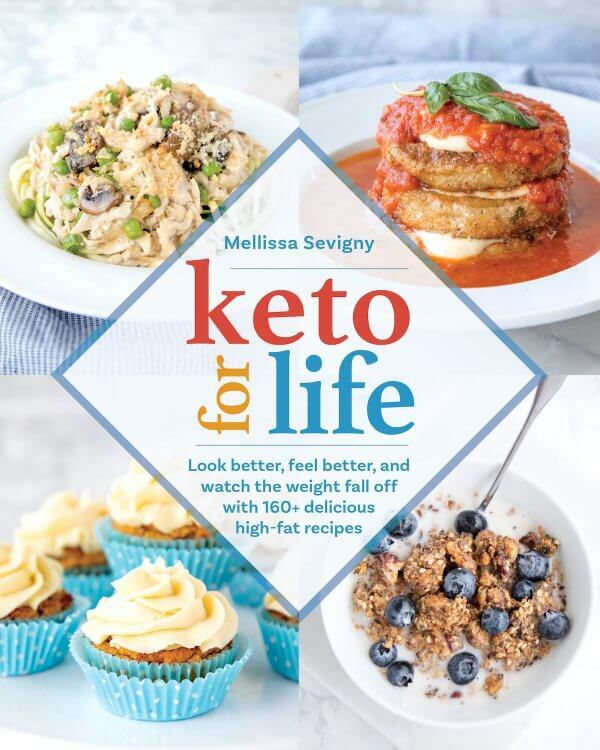 Thank you so much for this and all of the wonderful recipes you create! This is so good! I only had cream cheese in the house so I did sub it in instead of mascarpone but it’s so delish! I made this soup last night and omitted the sage, because I forgot to buy some at the store. I also reduced the water by one cup. Delicious soup! 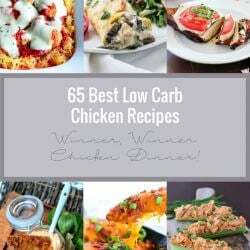 Loved it and will definitely make again. Thank you! I’ve been looking for a new soup recipe! 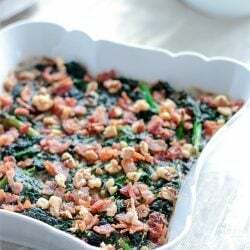 This one sounds delicious will be making it for football Sunday! Oh, yes! This is one to make for the family SOON! I haven’t tried making this yet, but it has all the markings or being a ‘keeper’!!! This sounds really, really good!! I made this following the recipe as written as best I could – had to sub white wine for cooking sherry and rubbed sage for fresh. 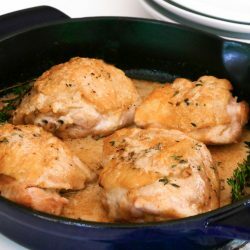 I researched the best subs and amounts to use for both ingrediens. Although I usually like a thicker soup I LOVED this and will definitely want it again. Very subtle flavors that were so tasty. Thank you for a wonderful recipe! My daughter will want to drain the sausage before proceeding as she likes less fat, but you must try this comforting flavorful soup. And, as a side note, how have I never known about marscapone cheese – it is amazing. Can’t wait to experiment with it. This looks AMAZING, and I even have some pumpkin in my fridge that needs to be used up! 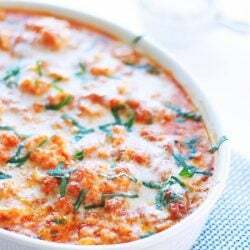 The creamy keto pumpkin & sausage chowder looks really good. I look forward to trying this! One question: is the serving size 1 half cup or 1.5 cups? It reads as 1 1/2 cups so I’m confused. Thanks! It’s one and one half cups, or 1.5 cups. This sounds fabulous. Can’t wait to try it.